1. In a Word – Housebroken! With most family members working 8 hours or more each day, house training a puppy with its small bladder can take awhile. Puppies need a consistent schedule with frequent opportunities to eliminate where you want them to. An older dog can “hold it” much more reliably for longer time periods, and rescued dogs are usually already housebroken. With a chewy puppy, you can count on at least 10 mismatched pairs of socks and a variety of unmentionables rendered to the “rag bag” before he cuts every tooth. And don’t even think about shoes! Also, you can expect holes in your carpet (along with the urine stains), pages missing from books, stuffing exposed from couches, and at least one dead remote control. No matter how well you watch them, it happens – it’s a puppy’s job! An older dog can usually have the run of the house without destroying it. Forget the alarm clocks and hot water bottles, a puppy can be very demanding at 2 am, 4 am and 6 am. He misses his littermates, and that stuffed animal will not make a puppy pile with him. If you have children, you’ve been there and done that. Whereas, an older rescue dog adjusts more quickly to your schedule. With a puppy running amok in your house, do you think you can be able to relax when you get home from work? Do you think your kids will really feed him, clean up the messes, take him for a walk in the pouring rain every hour to get him housetrained? With an adult dog, it will only be the kids running amok, because your dog will be sitting calmly next to you, while your workday stress flows away and your blood pressure lowers as you pet him. Puppies need their series of puppy shots and fecals, a rabies shot, spay/neutering, and maybe an emergency trip or two if they’re chewed something dangerous. These visits are in addition to what you paid for the dog! Your donation to the rescue when adopting an older “pup” will get you a dog with all shots current, already altered, heart worm negative and on heart worm preventative at a minimum. When the puppy isn’t teething on your possessions, he will be teething on your children and yourself. And as that puppy gets older and bigger the teething definitely hurts (and will get worse, if it isn’t being corrected properly.) Most older dogs have been there, done that, and moved on. Puppy love is often no more than an attachment to a look or a color. It is not much of a basis on which to make a decision that will hopefully last 15+ years. While that puppy may have been the cutest of the litter, he may grow up to be super active (when what you wanted was a couch buddy); she may be a couch princess (when what you wanted was a tireless hiking companion); he may want to spend every waking moment in the water (while you’re a landlubber); or she may want to be an only child (while you are intending to have kids or more animals). Pet mismatches are one of the top reasons dogs are relinquished to shelters or rescues every year. Good rescues carefully evaluate both their dogs and their applicants to be sure that both dog and family will be happy with each other until death do them part. With an older dog, you automatically have a buddy that can go everywhere and do everything with you NOW. There’s no waiting for a puppy to grow up (and then hope he will like to do what you enjoy.) You will have been able to select the most compatible dog, one that travels well; one that loves to play with your friends’ dogs; one with good house manners that you can take to your parents’ new home with the new carpet and the new couch. You can come home after a long day’s work and spend your time on a relaxing walk, ride or swim with your new best friend (rather than cleaning up after a small puppy). Dogs who have been uprooted from their happy homes or have not had the best start in life are more likely to bond very completely and deeply with their new people. Those who have lost their families through death, divorce or lifestyle change go through a terrible mourning process. But once attached to a loving new family, they seem to want to please as much as possible to make sure they are never homeless again. These dogs that are just learning about the good life and good people seem to bond even deeper. They know what life on the streets, life on the end of a chain, or worse is all about, and they revel and blossom in a nurturing, loving environment. Most rescues make exceptionally affectionate and attentive pets and extremely loyal companions. Donate to us when you shop! Visit www.igive.com to shop any of their major retail vendors and they will donate a percentage of your purchase to our non-profit rescue! 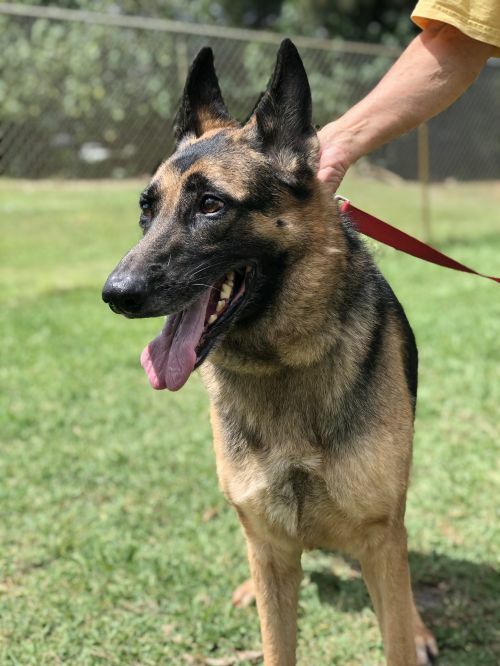 Please specify South Brevard German Shepherd Rescue when making your purchase.